Property 2: Downtown Gatlinburg Condo. Walk to all the attractions! Property 3: In Town with a Spectacular View - Walk to the Parkway! Property 4: WELCOME! Spacious end unit! Wrap around balcony - covered parking! Cozy Log Cabin-Style Luxury Condo! Indoor Pool! May Special Only $89/night! Property 5: Cozy Log Cabin-Style Luxury Condo! Indoor Pool! May Special Only $89/night! Cozy Condo Downtown with Jacuzzi! Indoor Pool! May Special Only $89/nt!! Property 8: Cozy Condo Downtown with Jacuzzi! Indoor Pool! May Special Only $89/nt!! Downtown Gatlinburg Condo Walk to all the attractions in Downtown Gatlinburg! Property 9: Downtown Gatlinburg Condo Walk to all the attractions in Downtown Gatlinburg! Property 10: Cozy Condo Downtown! Indoor Pool! May Special! Only $89/night! Cozy Log Cabin-Style Condo Downtown! Indoor Pool! May Special Only $89/night! Property 11: Cozy Log Cabin-Style Condo Downtown! Indoor Pool! May Special Only $89/night! Downtown, Nice Furnishings, Clean & Cozy W/ Gas logs, Hot Tub & Outside Pool. Property 13: Downtown, Nice Furnishings, Clean & Cozy W/ Gas logs, Hot Tub & Outside Pool. Downtown, nice furnishings, clean and cozy w/ fireplace, indoor & outdoor pools. Property 14: Downtown, nice furnishings, clean and cozy w/ fireplace, indoor & outdoor pools. The Perfect getaway for family and friends in Downtown Gatlinburg. 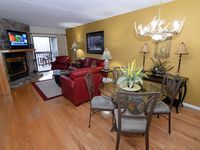 Property 17: The Perfect getaway for family and friends in Downtown Gatlinburg. Property 28: Beautiful 3 bedroom condo only a half a mile from downtown near Aquarium. Gatlinburg's Finest ** Downtown’s Best Location ** Great Mountain Views! Property 30: Gatlinburg's Finest ** Downtown’s Best Location ** Great Mountain Views! A Studio With A View!! Property 32: A Studio With A View!! Luxury condo w/jacuzzi, WiFi, Waterfall, Creek View! Only 2 miles to downtown! Property 34: Luxury condo w/jacuzzi, WiFi, Waterfall, Creek View! Only 2 miles to downtown! Penthouse Condo ~ Short Walk To Parkway!! Property 38: Penthouse Condo ~ Short Walk To Parkway!! Property 43: Astounding Views! See Mt. 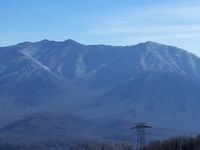 LeConte, Gatlinburg and Ski Slope from the Balcony! Property 49: Clean Condo. Free Parking, Walk to Pkwy Shopping & Aquarium! Rating Details: The property manager was very helpful. The vacation rental was spotless. I was very happy with the location. I was more than satisfied with the condition of the vacation rental. Overall, I recommend this vacation rental. Reviewer Comments: Accomodations were nice! A few minor things were disappointing, like there was nice ice and no way to make ice. We ended up buying some but this would have been nice to know BEFORE our trek up the mountian :) View is beautiful!! Everything was nice. It was just hard to drive up those mountains when you dont have 4 wheel drive.